Houses & Homes VA: This is the ONLY way to improve a poor credit rating – period! This is the ONLY way to improve a poor credit rating – period! Contrary to popular belief there is no “quick fix” to repair bad credit. 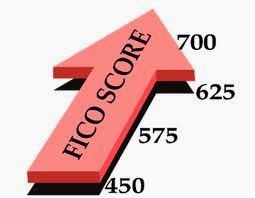 In reality it takes a considerable amount of time to establish a poor credit history and it will also take time to improve your rating with the 3 major credit agencies. Why is this? Your credit rating is not simply a matter of how you have used your credit, it is as much a matter of your spending habits and more importantly your “paying” habits. Credit scores are based on longevity. It’s not just a matter of paying your bills on time; it’s a matter of routinely paying your bills on time for months or even years. Consistency is just as important as having the financial resources to pay. What’s the point of having a million dollars in the bank if you can’t pay a $20 credit card bill on time? This is why time is required to improve a poor credit rating. Lenders want to see that you have the ability to pay your bills on time consistently. Knowing this there is no reason to feel that you will never be able to improve your credit rating. You can do it in time provided that you know the proper steps to take and are patient. Step #1 is simple enough; you must contact the 3 national credit reporting agencies to obtain copies of your credit reports. You will need to check them for inaccuracies. The last thing that you need at this time is to have more negative marks on your credit report than you deserve, right? If you do find mistakes than you should contact each agency to have the report corrected. Now it’s time to get to work! Although credit cards are probably one of the reasons that you are in this situation you can use them to help reestablish good credit. The formula is simple; continue to use at least one card (whether you need it or not) and be sure to pay the balance in full and on time every month. This process will definitely be noticed by the credit agencies and will demonstrate to them that you have become a good manager of your personal finances and that is exactly what they are looking for! If you are convinced that you need the help of a credit counseling service than be sure that it is a reputable one. A good service will not only help you to negotiate payments with your various creditors but will also offer money management courses including how to create and stick to a monthly budget. Keep in mind that there are many non-profit services to choose from and they will charge very little money and sometimes there is no fee at all. Stay away from companies that charge large fees, they cannot do anything that a free service doesn’t provide and spending more money is not a good start on your way to improving your credit rating.